After displaying the huge diamond ring on instagram which sparked some engagement rumours. 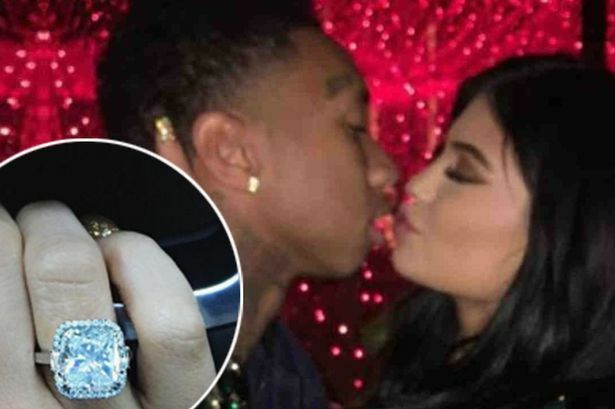 kylie has responded to the reports by dropping some words on her website insisting she is not engaged.. It was really special to end such a big year celebrating with all of my friends and family... and with an extra special gift from a special someone," "And NO, I'm not engaged"